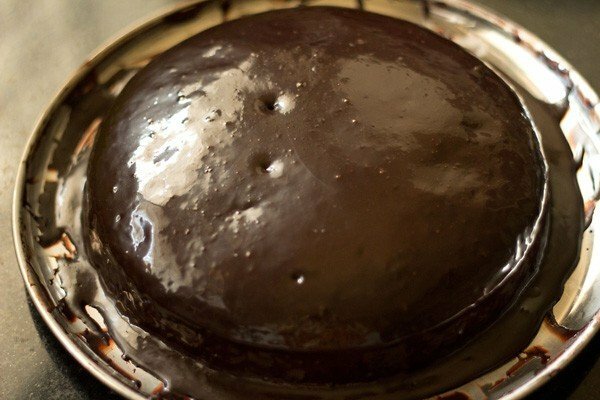 this is a moist and light chocolate cake recipe made with whole wheat flour and without eggs. the cake is soft and moist and can be used a base cake for various chocolate frostings. i have already made this chocolate cake a couple of times to use it a basic cake for various chocolate frostings. i have even made black forest cake from this chocolate cake. 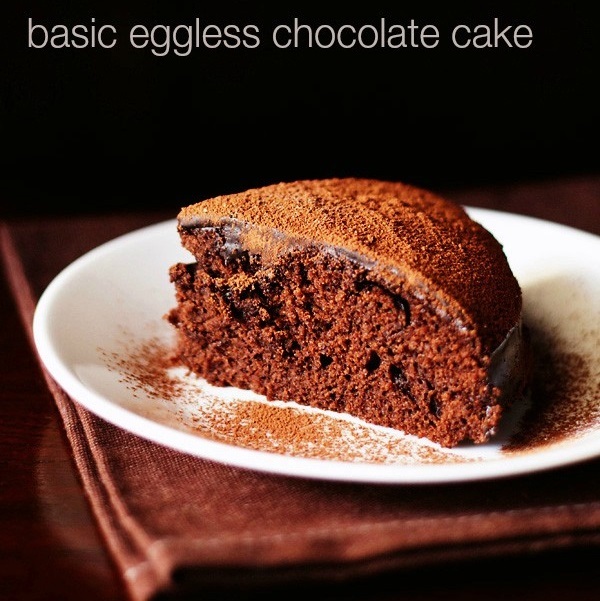 the texture of this eggless chocolate cake is soft and moist. 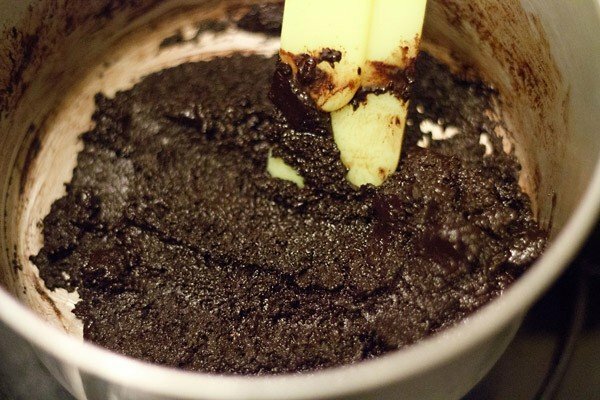 this chocolate cake recipe is vegan as i have used oil. but you can add melted butter too. 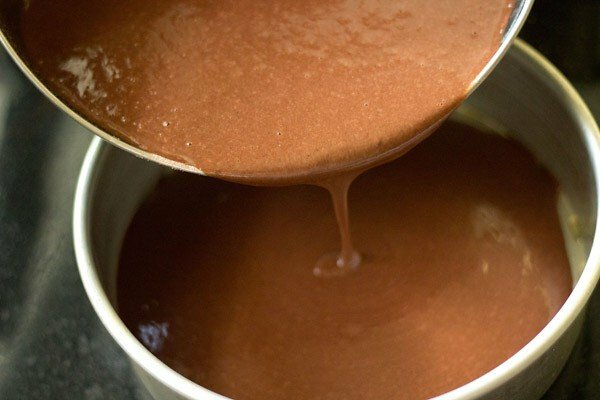 i have also shared the method of cocoa frosting which is very easy. in the frosting recipe, i have used butter, but a neutral flavored oil can also be added. 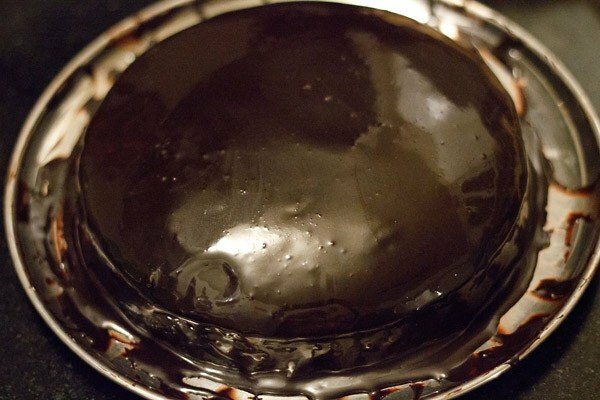 i have compiled a list of frequently asked questions and some tips from the comments section of this eggless chocolate cake recipe. 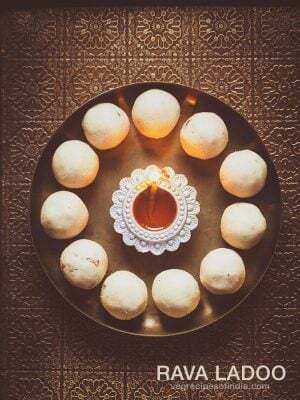 1. can all purpose flour (maida) be used? you can easily add all purpose flour in the recipe. depending on the quality of flour, you can add slightly less water than what is mentioned in the recipe. 2. can i double this recipe? yes, you can double this eggless chocolate cake recipe. 3. can i skip baking soda? baking soda is the only leavening ingredient added in the recipe. so it cannot be skipped. 4. can i add baking powder instead of baking soda? 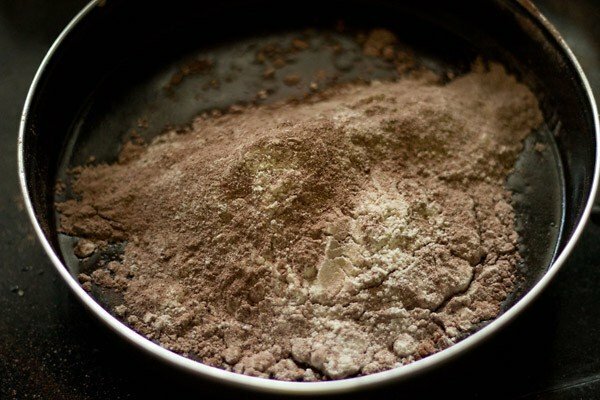 baking powder cannot be used instead of baking soda. 5. can i bake this chocolate cake in a convection oven or in a microwave convection oven? 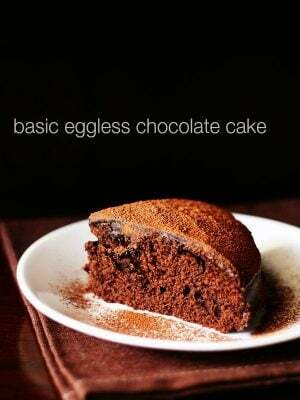 you can easily bake this eggless chocolate cake in a convection oven instead of a regular oven or an OTG. you can even bake this cake in a microwave convection oven. the timing will be less for convection ovens as they bake faster than an OTG or regular ovens. 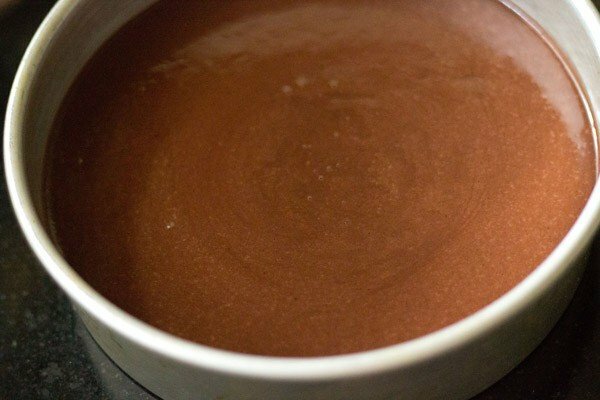 6. can i make this eggless chocolate cake in a pressure cooker? 7. can i add vanilla powder in all the cakes instead of vanilla extract? vanilla powder can be added instead of vanilla extract. you can even add vanilla essence instead of vanilla extract. 8. why my chocolate cake is not spongy? 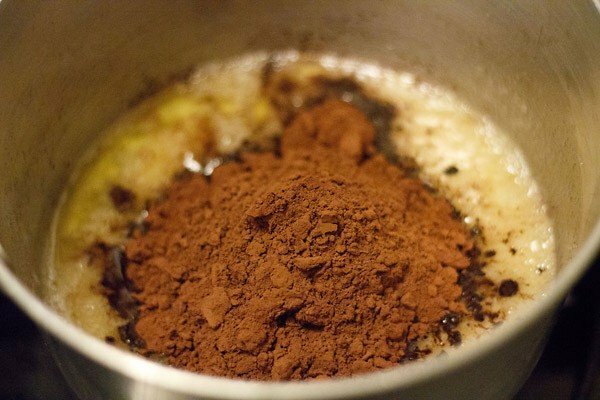 in this chocolate recipe, only one leavening ingredient is used. that leaving ingredient is baking soda. 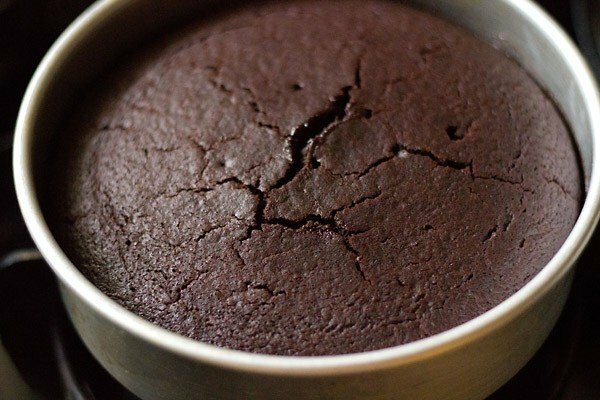 the reaction of baking soda with the lemon juice helps in making this eggless chocolate cake spongy and light. its always better to check the freshness of baking soda before you proceed with the recipe. if the baking soda is not fresh or past its shelf life, the cake won’t rise. so to check the freshness of baking soda, add about ½ teaspoon of baking soda in 1 tablespoon vinegar + 1 tablespoon of water mixture. the solution should fizz and bubble. if the solution does not fizz and bubble, the baking soda is not active and fresh. 9. can i add dry fruits or nuts in the chocolate cake? dry fruits and nuts like almonds, pistachios, cashews can be added in the cake batter. but before adding the dry fruits, mix them with a bit of flour, so that they do not settle down at the bottom of the cake while baking. 10. can milk be added instead of water? milk (dairy or vegan milks like almond milk, cashew milk or soy milk) can be added instead of water. make sure that the milk is chilled. 11. can i add honey instead of sugar? avoid adding honey. according to ayurveda, honey should not be heated as it becomes toxic. you can add jaggery, coconut sugar or palm sugar instead. 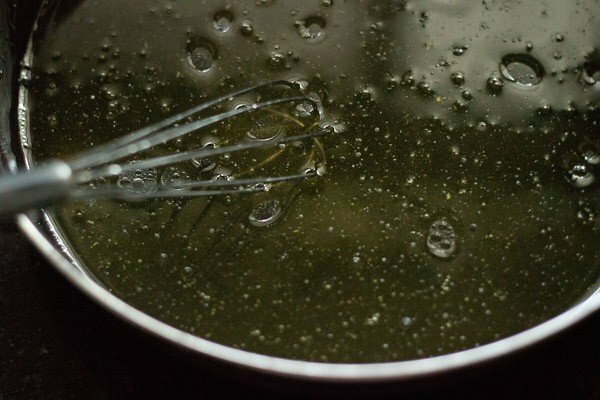 12. can I use vinegar instead of lemon juice? you can easily use vinegar instead of lemon juice. use white vinegar or apple cider vinegar. 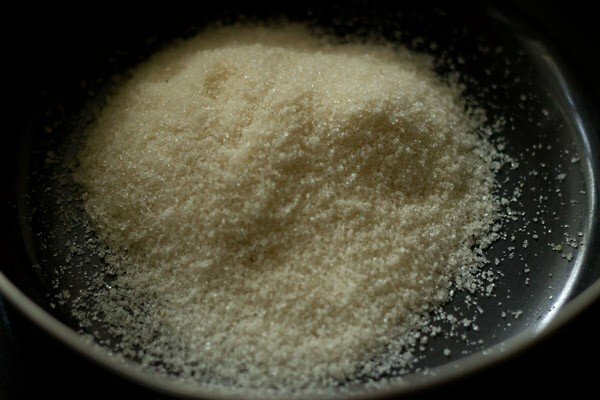 13. can i use eno (fruit salt) instead of baking soda? you can use eno in this eggless chocolate recipe. so i would suggest to add about ½ to ⅔ teaspoon of eno in the eggless chocolate cake recipe. first grease a round baking pan of 7.5 inches diameter x 2 inches height with oil. preheat your oven to 200 degrees celsius/392 degrees fahrenheit. seive 1 cup whole wheat flour, 3 tbsp cocoa powder, a pinch of salt, ½ tsp baking soda in a plate. 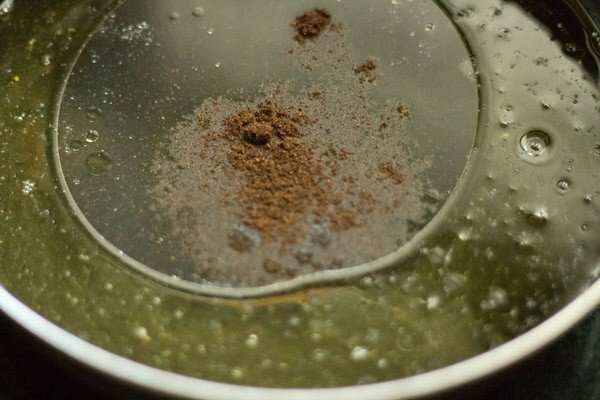 use good quality cocoa powder. in another pan or bowl, take ¾ cup sugar. add 1 cup cold water and stir so that the sugar dissolves. now add ¼ cup oil or melted butter. i added oil. stir briskly so that everything is mixed well. next add 1 tbsp lime juice. stir again. now add ½ tsp vanilla extract or powder. add the sieved dry ingredients to the wet mixture. using a wired whisk, mix everything well. there should be no lumps in the cake batter. the batter is not thick but thin. 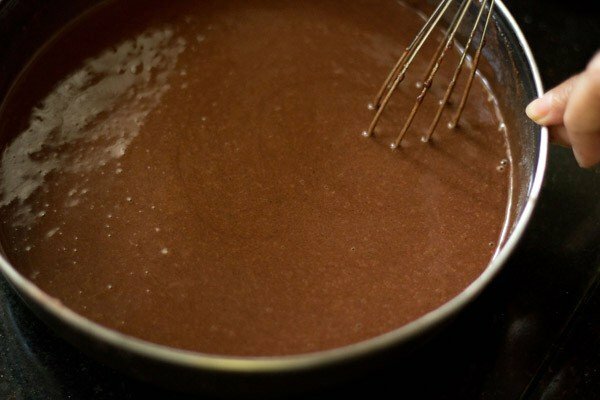 pour the chocolate cake batter in the prepared cake pan. tap the sides of the cake pan so that the extra air bubbles are let out. bake the eggless chocolate cake in a preheated oven for 200 degrees celsius/392 degrees fahrenhiet for 35 to 40 mins. since temperatures vary from oven to oven, do keep a check. for baking in a convection mode of microwave oven, preheat the oven at 180 degrees celsius/356 degrees fahrenheit for 15 minutes. then bake the cake at 180 degrees celsius /356 degree fahrenheit for the 30 to 35 minutes. for doneness check the cake with a tooth pick. the tooth pick should come out clean. once the chocolate cake becomes warm or cools down, unmold and place it on a wired rack. if the tooth pick is sticky, then place the cake back in the oven and continue to bake for some more minutes. before frosting let the chocolate cake cool completely. 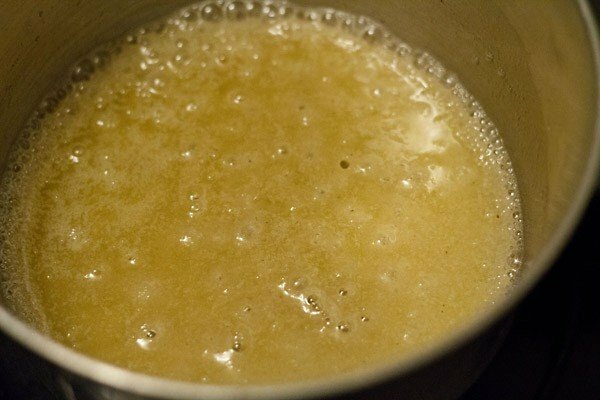 take 2 tbsp butter and 4 tbsp sugar in a saucepan. heat and melt the butter. also the sugar should dissolve. once the sugar has dissolved switch off the stove top. the sugar should be just dissolved. we don't need to cook the sugar in its various stages. next add 4 tbsp cocoa powder. 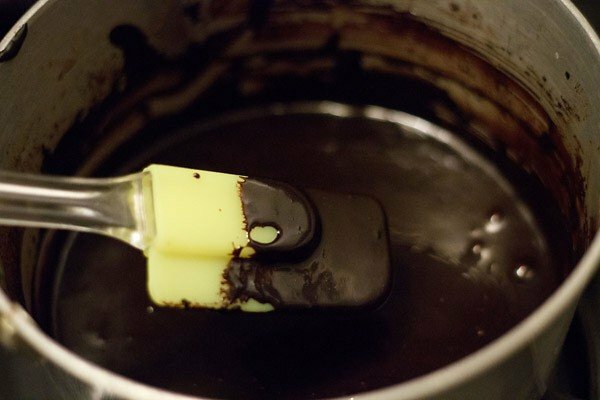 with a spatula stir so that the cocoa powder gets mixed evenly with the butter-sugar mixture. add 3 tbsp milk. stir very well. to make a slightly thick frosting, you can also add 2 tbsp milk. the cocoa frosting is ready. while still hot, spread the frosting on the chocolate cake as well as the sides with a spatula. you can also slice the chocolate cake in halve and spread frosting in the center and then on the top. usually i wrap a medium sized plate with aluminium foil and then keep the cake on it. this make the frosting work easier. this time i just kept the cake directly on the plate. keep the chocolate cake covered in the fridge for the frosting to set. you can use a dome shaped bowl to cover the cake. make sure the there is enough space between the cake and the bowl which you are using for covering the cake. the frosting will set after some hours. i kept overnight. next day, sieve some icing sugar and cocoa powder on the chocolate cake. this is optional. slice and serve the the eggless chocolate cake. instead of lime juice, add same quantity of white vinegar or apple cider vinegar. you can use ½ to ⅔ teaspoon eno instead of baking soda. you cannot use baking powder instead of baking soda. 1. first grease a round baking pan of 7.5 inches diameter x 2 inches height with oil. preheat your oven to 200 degrees celsius/392 degrees fahrenheit. 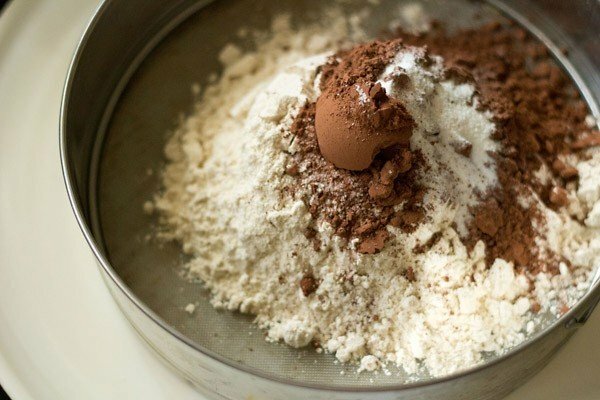 2. seive 1 cup whole wheat flour (you can use all purpose flour/maida also), 3 tbsp cocoa powder, a pinch of salt, ½ tsp baking soda in a plate. 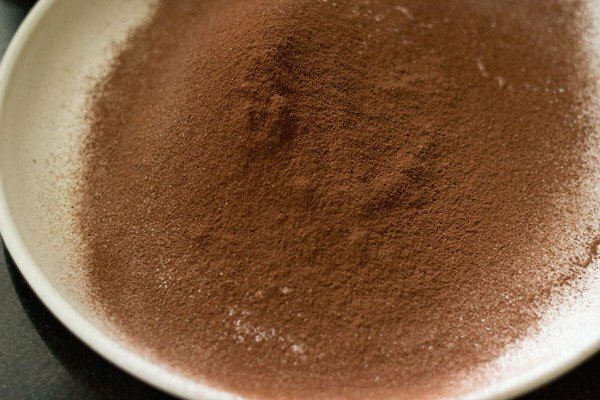 use good quality cocoa powder. 3. here are the sieved dry ingredients. 4. in another pan or bowl, take ¾ cup sugar. i have used unrefined cane sugar, regular white sugar can also be used. 5. add 1 cup cold water and stir so that the sugar dissolves. 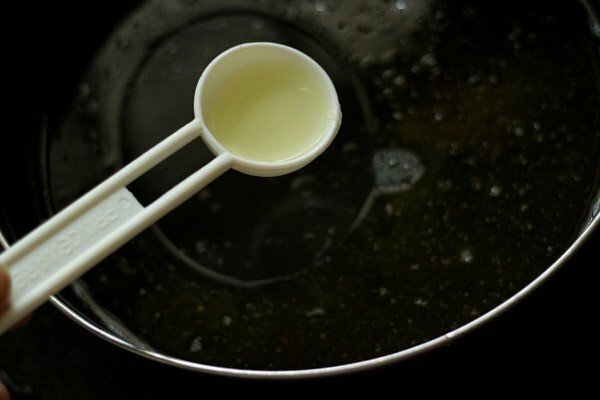 6. now add ¼ cup oil or melted butter. i added oil. if using butter, the let the butter come at room temperature after you melt it. or you can also use butter which has softened at room temperature. 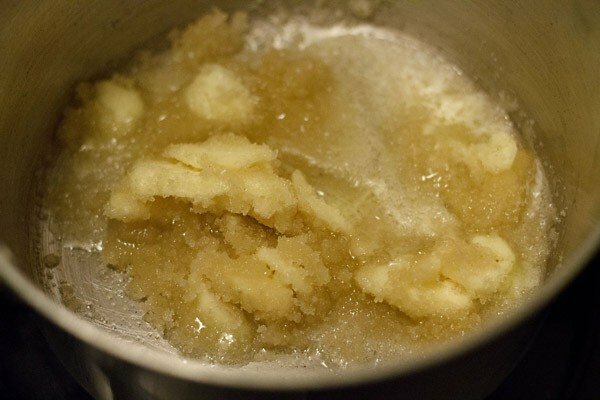 then you just have to mix and whip them till the mixture looks homogeneous – meaning the water and butter should not look separate. you can also use an electric beater if required. 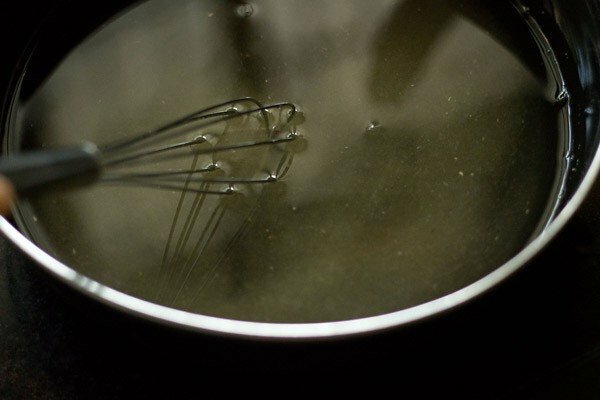 the butter will solidify due to the cold temperature of water, so the only way to mix it evenly with the water is by briskly beating with a wired whisk or with an electric beater. use a wide deep bowl, so that the mixture does not spill out while mixing with the electric beater. 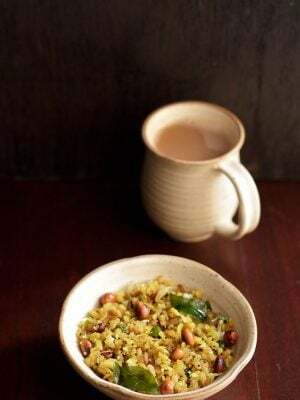 7. stir briskly so that everything is mixed well. 8. next add 1 tbsp lime juice. stir again. 9. now add ½ tsp vanilla extract or powder. here i added vanilla powder. 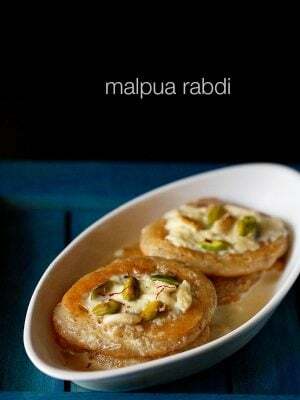 tip from reader manasi – you can also add chocolate extract or chocolate essence instead of vanilla. 10. add the sieved dry ingredients to the wet mixture. 11. using a wired whisk, mix everything well. 12. there should be no lumps in the chocolate cake batter. the batter is not thick but thin. 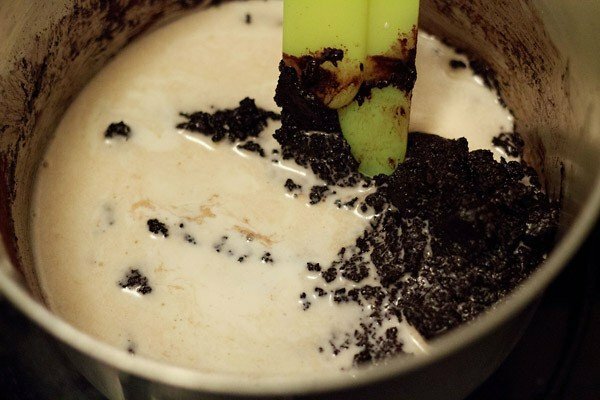 13. pour the chocolate cake batter in the prepared cake pan. 14. tap the sides so that the extra air bubbles are let out. 15. bake the eggless chocolate cake in a preheated oven for 200 degrees celsius/392 fahrenhiet for 35 to 40 mins. since temperatures vary from oven to oven, do keep a check. for baking in a convection mode of microwave oven, preheat the oven at 180 degrees for 15 minutes. then bake the cake at 180 degrees celsius for the 30 to 35 minutes. 16. for doneness check the cake with a tooth pick. the tooth pick should come out clean. once the eggless chocolate cake becomes warm or cools down, unmold and place it on a wired rack. 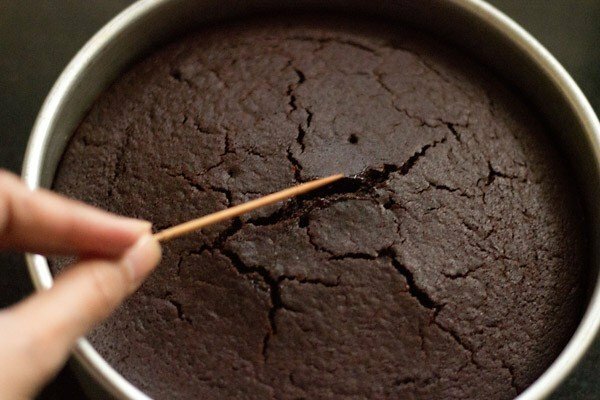 if the tooth pick is sticky, then place the chocolate cake back in the oven and continue to bake for some more minutes. before frosting, let the chocolate cake cool completely. 17. take 2 tablespoons butter and 4 tablespoons sugar in a saucepan. for the frosting its best to use superfine sugar or fine sugar. the regular large refined sugar crystals may not melt. powdered sugar can be also used. i have used organic refined cane sugar which has fine crystals so they melt easily. if you do not have fine sugar, then grind 4 tablespoons sugar in a small mixer-grinder jar to a fine powder and then use it for making the frosting. 18. heat and melt the butter. also the sugar should dissolve. once the sugar has dissolved switch off the stove top. the sugar should be just dissolved. we don’t need to cook the sugar in its various stages. 19. next add 4 tbsp cocoa powder. 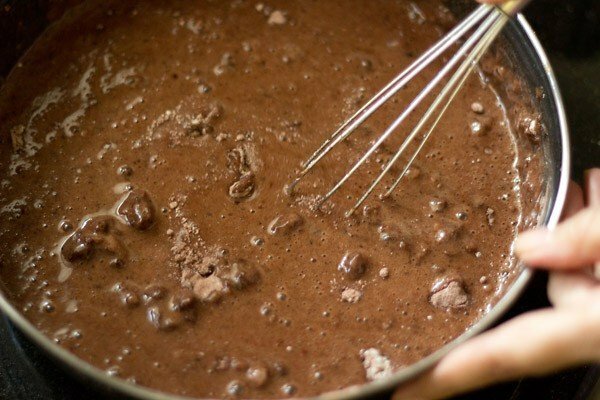 20. with a spatula stir so that the cocoa powder gets mixed evenly with the butter-sugar mixture. 21. add 3 tbsp milk. to make a slightly thick frosting, you can also add 2 tbsp milk. 22. stir very well. the cocoa frosting is ready. 23. while still hot, spread the frosting on the chocolate cake as well as the sides with a spatula. you can also slice the chocolate cake in halve and spread frosting in the center and then on the top. usually i wrap a medium sized plate with aluminium foil and then keep the cake on it. this make the frosting work easier. this time i just kept the chocolate cake directly on the plate. keep the chocolate cake covered in the fridge for the frosting to set. you can use a dome shaped bowl to cover the cake. make sure the there is enough space between the cake and the bowl which you are using for covering the cake. 24. the frosting will set after some hours. i kept overnight. 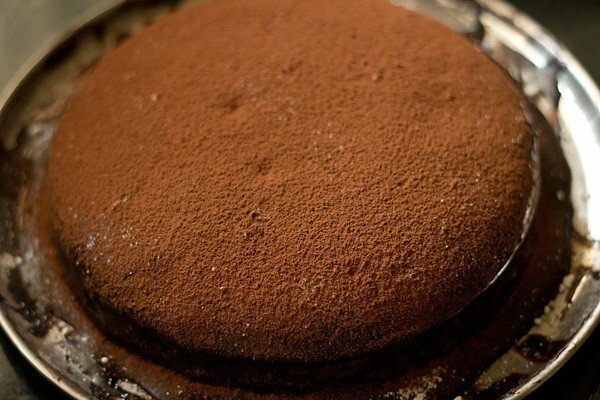 25. next day, i sieved some icing sugar and cocoa powder on the cake. this is optional. 26. the eggless chocolate cake is ready to be served. 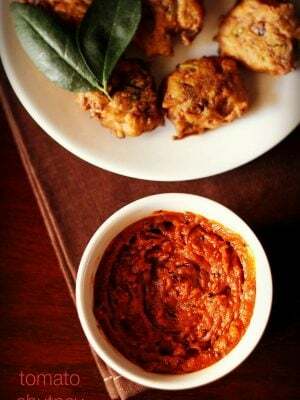 Hi Dassana thank you for sharing this receipe. The cake turned out to be very good. Just wanted to check how long can the cake be stored for? 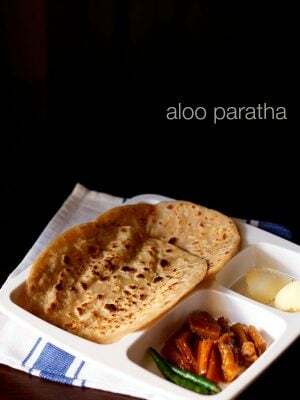 Aparna, it can stay good for a week in the fridge. 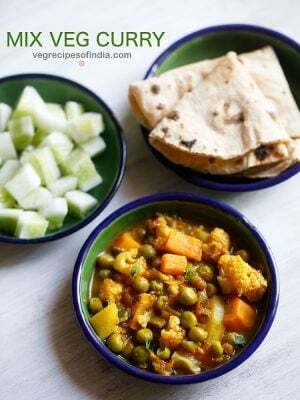 I made this recipe in pressure cooker..the taste was really good..but, the sides became little hard.. can u tell me wat could have caused it and how to over come this? using a steel pan can make the sides hard. even baking for a long time can make the sides hard. 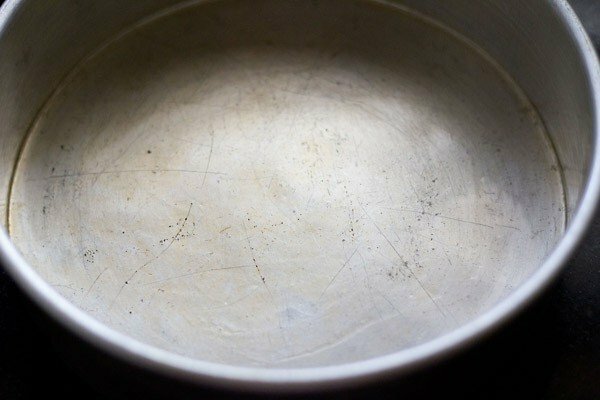 a good quality baking pan works well in a pressure cooker. hope this helps. 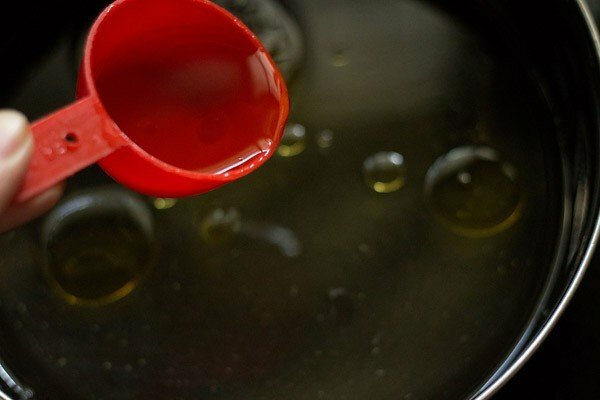 use a neutral flavored oil like sunflower oil. Hello.. tried this recipe and it turned out so good. Thanks a lot. I felt that it was too less for my friends and family so planning to bake again today.. so I want to ask can we double the recipe as it is? Or Any changes to be done? thanks dhriti for sharing your feedback and rating. you can double the recipe. no changes need to be done. Was a lil skeptical about using only soda but the cake did rise well. Just one question that all the cupcake tops cracked up like a volcano. Only variation was I used vinegar and added a few walnuts. Anything I did wrong?? thanks a lot. i guess it is not because of vinegar but may be due to the addition of walnuts.